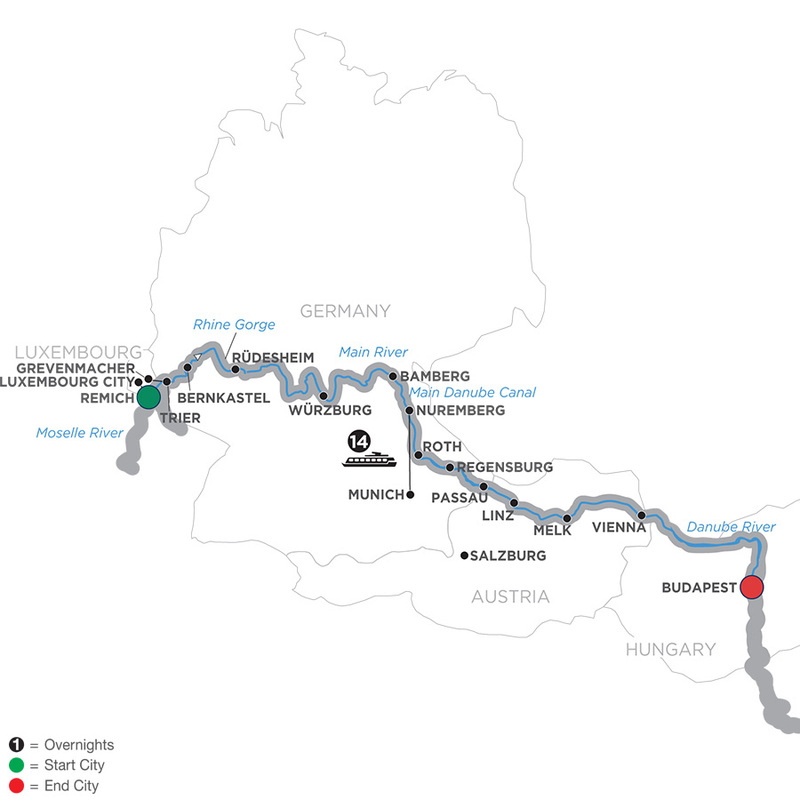 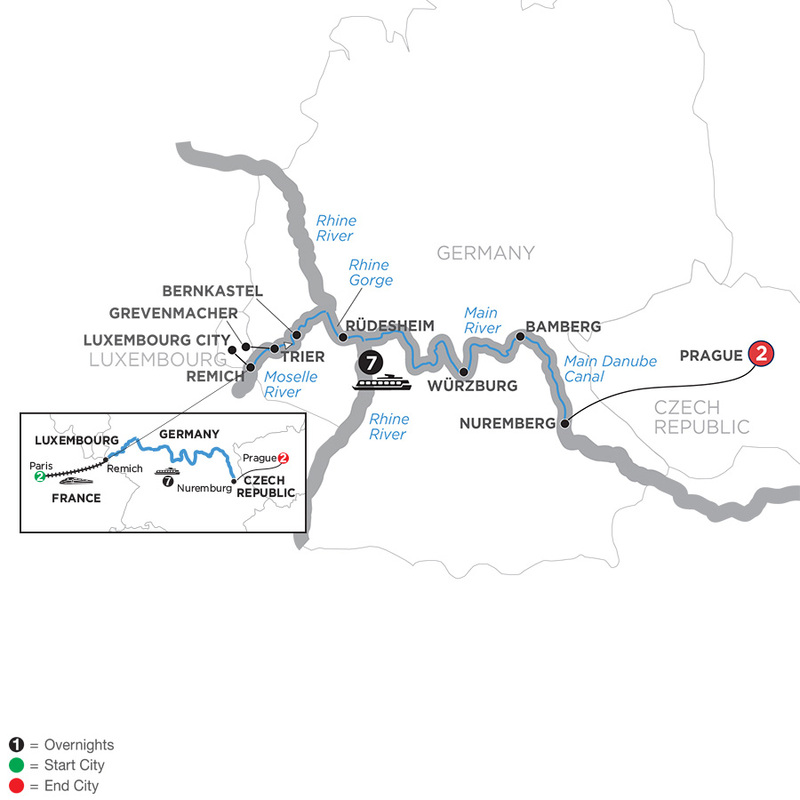 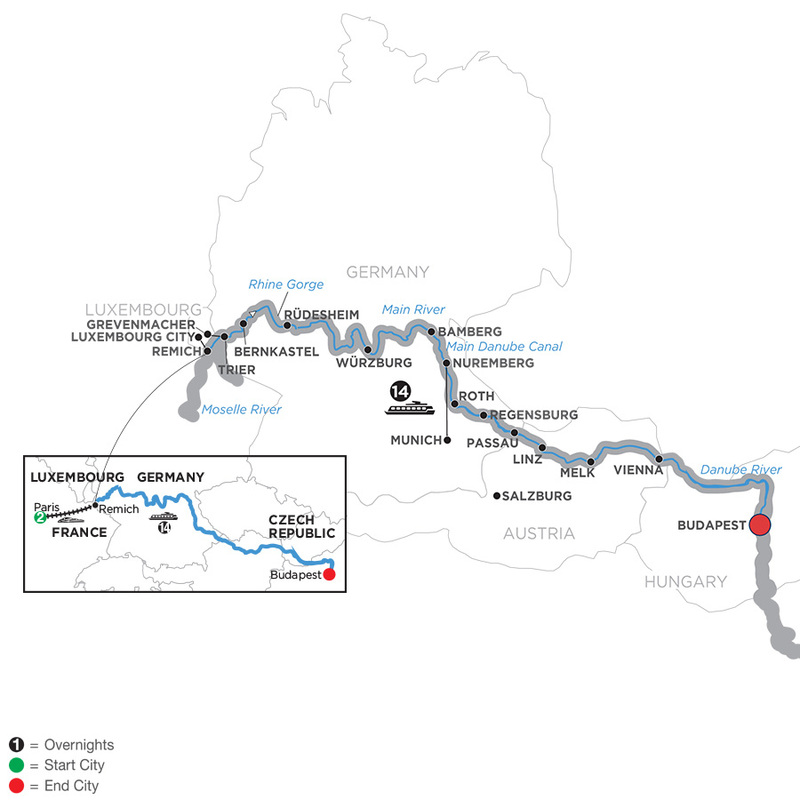 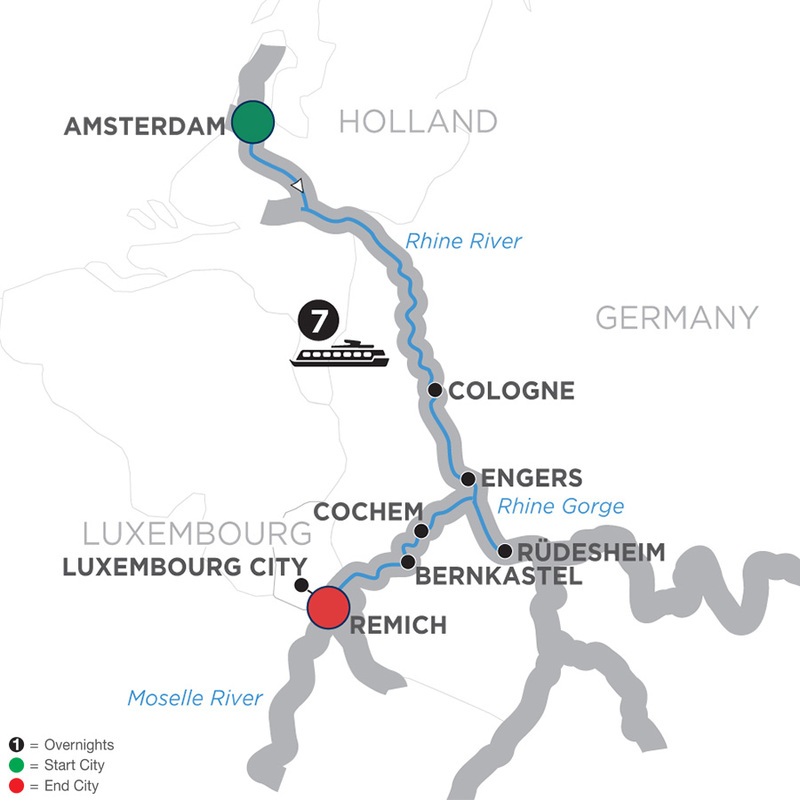 Flowing through France, Luxembourg and Germany, the Moselle River is known for its picturesque medieval castles and excellent wines, such as Riesling, Elbling, Müller-Thurgau and Kerner. 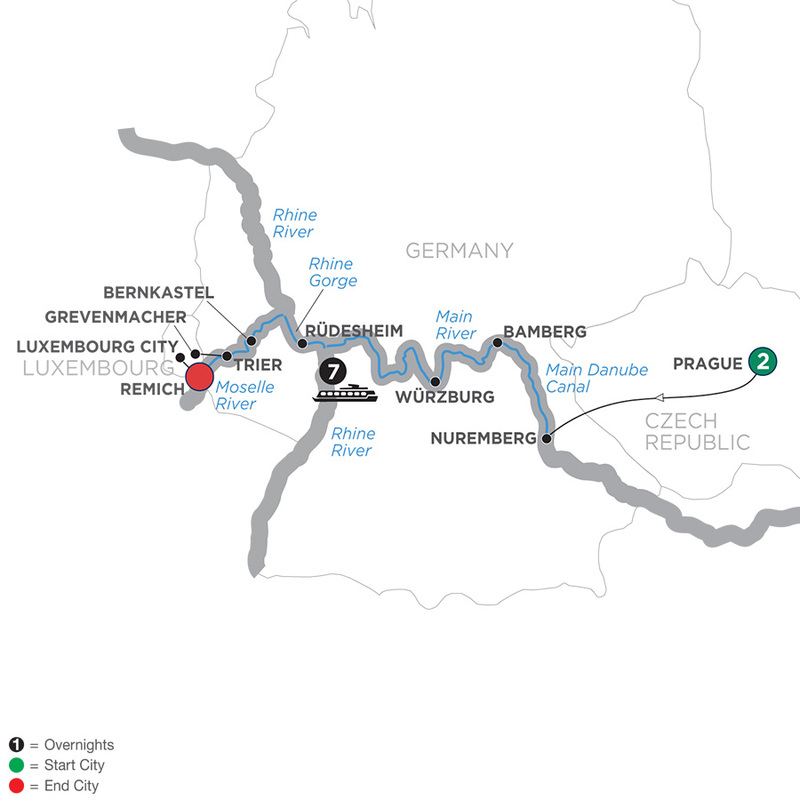 From the excitement of Paris to charming central European villages, from exquisite art to famous wines, a Moselle river cruise is a remarkable vacation. 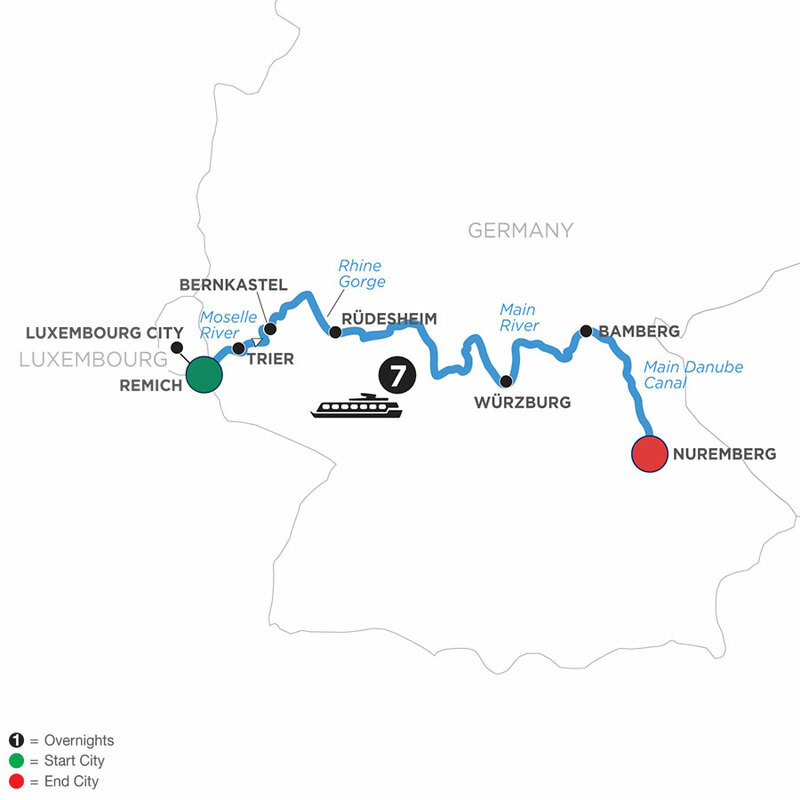 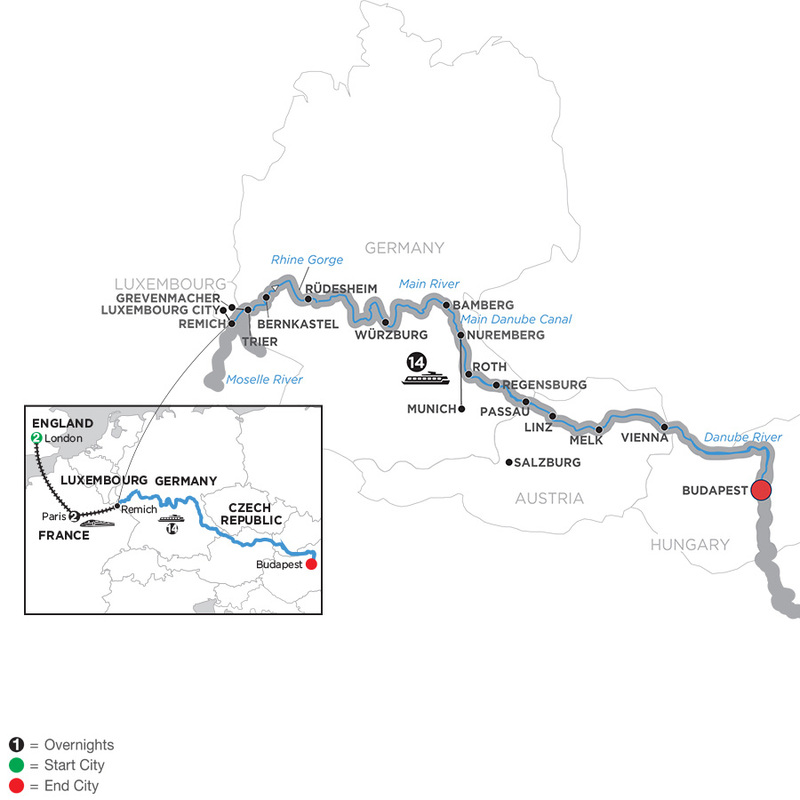 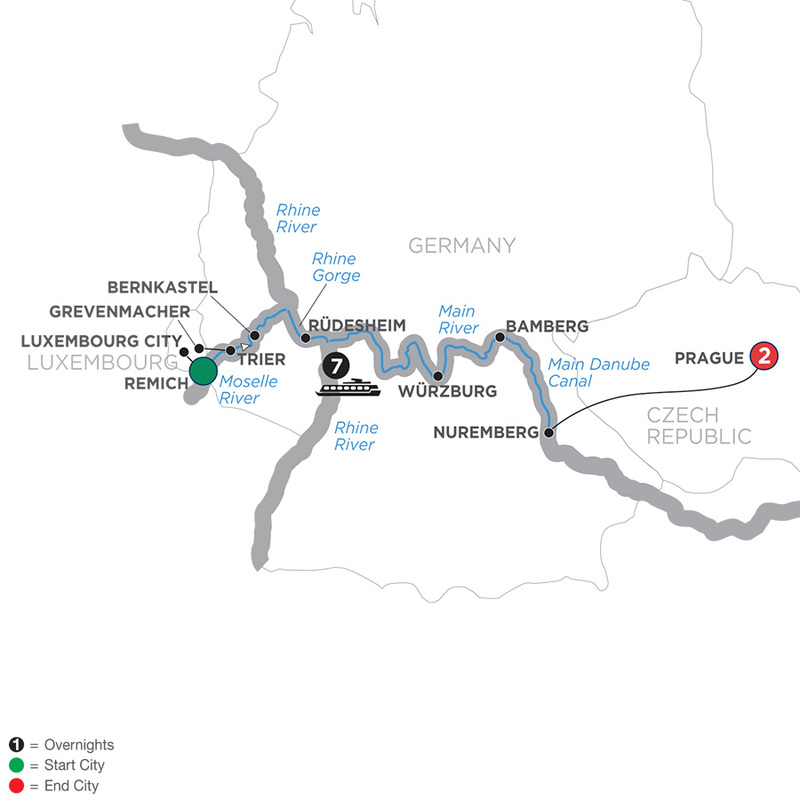 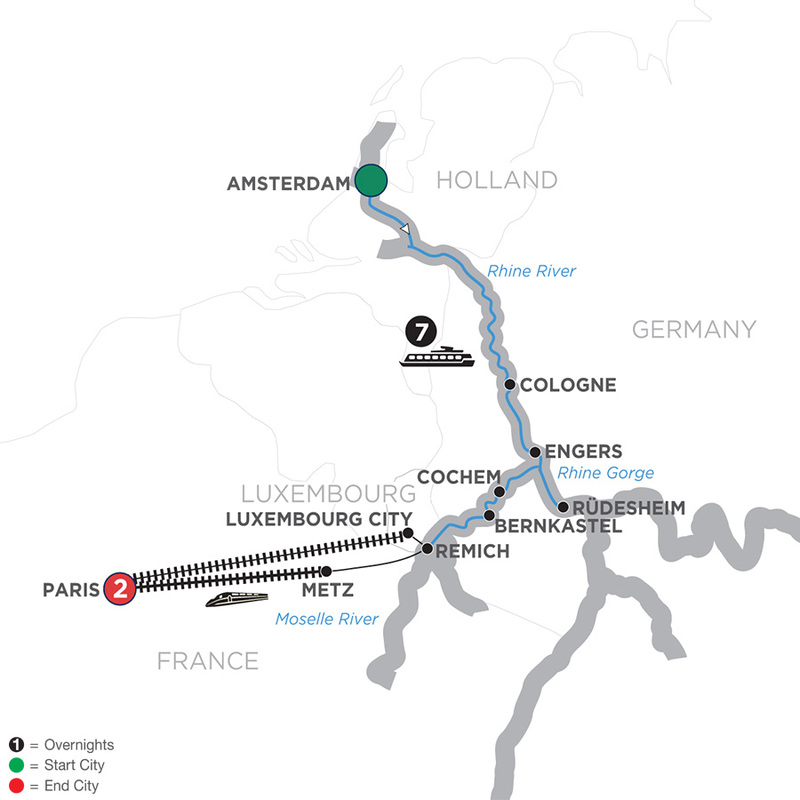 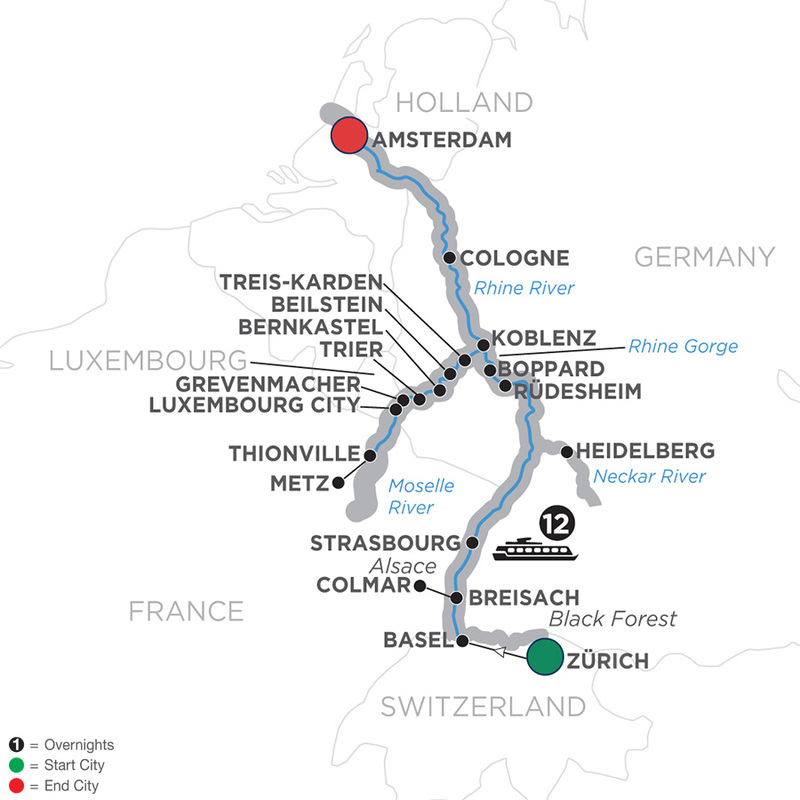 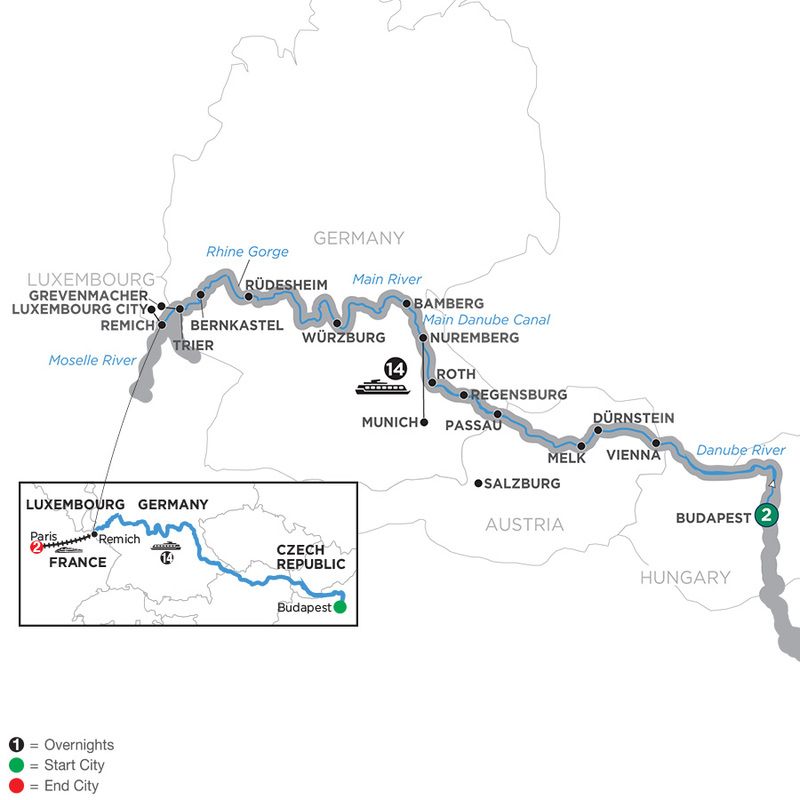 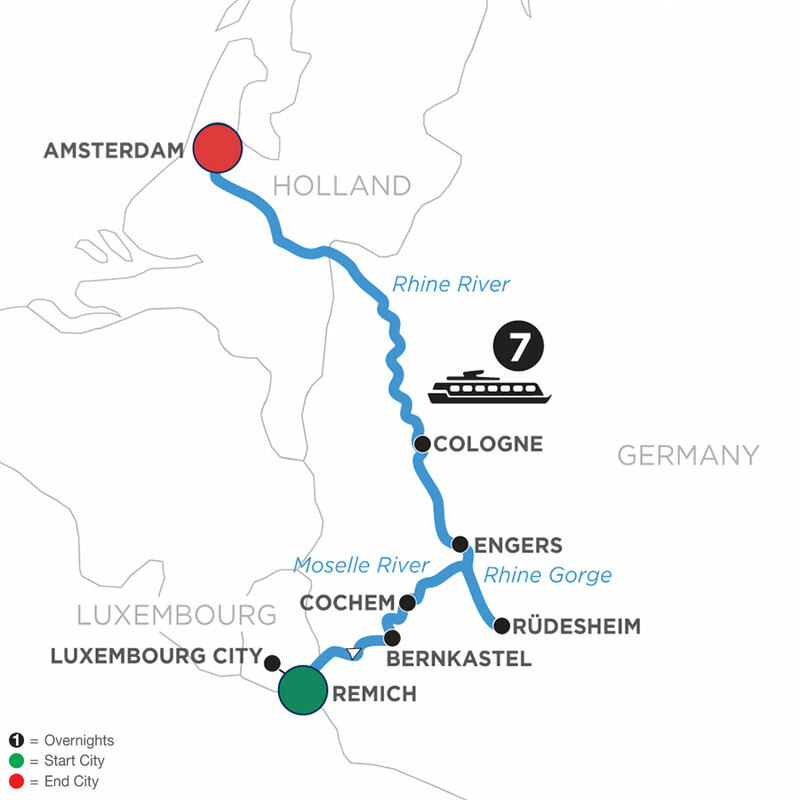 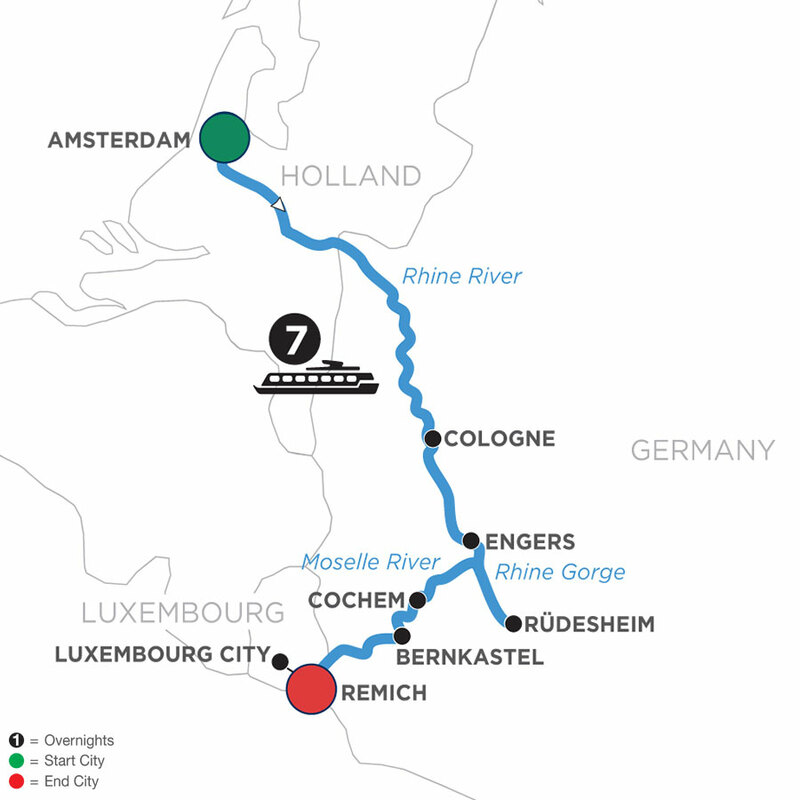 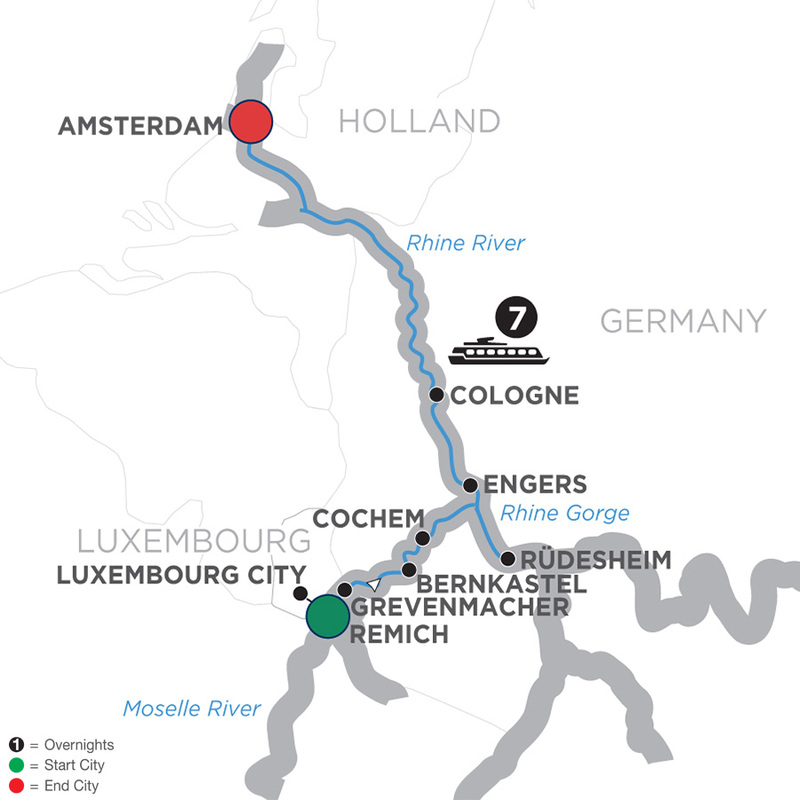 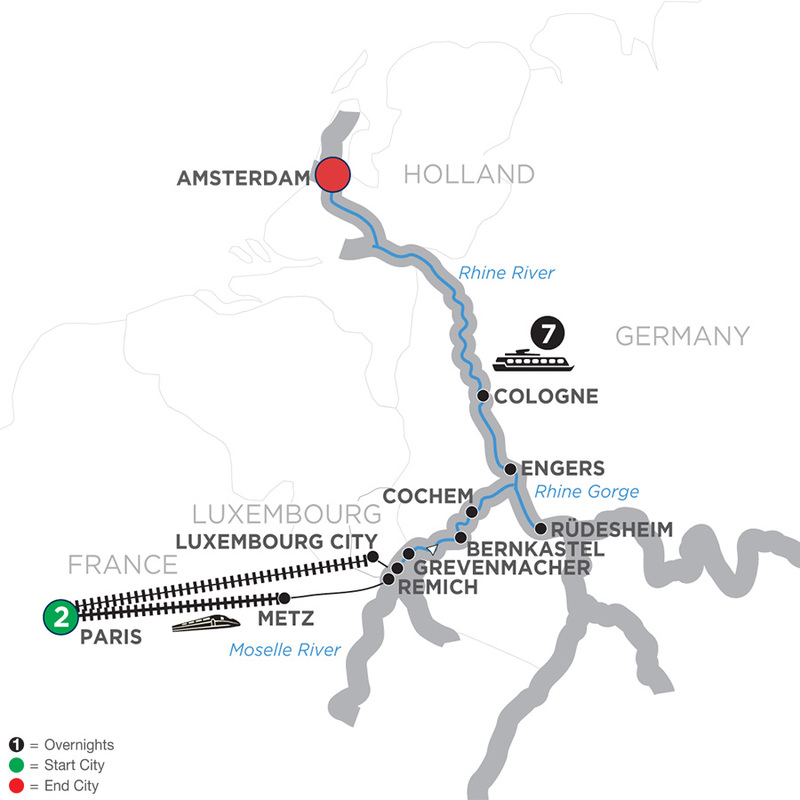 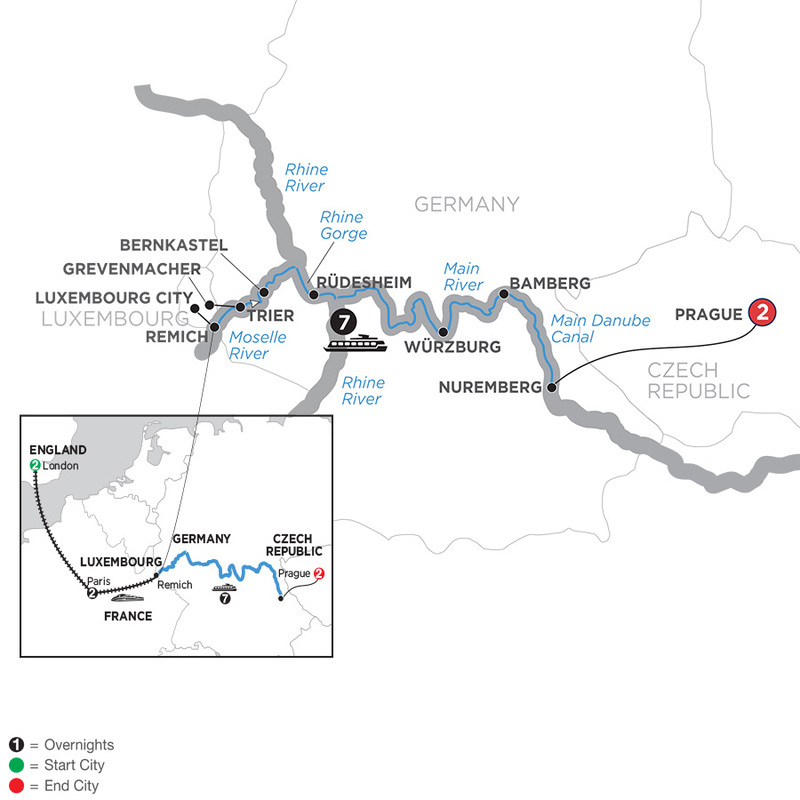 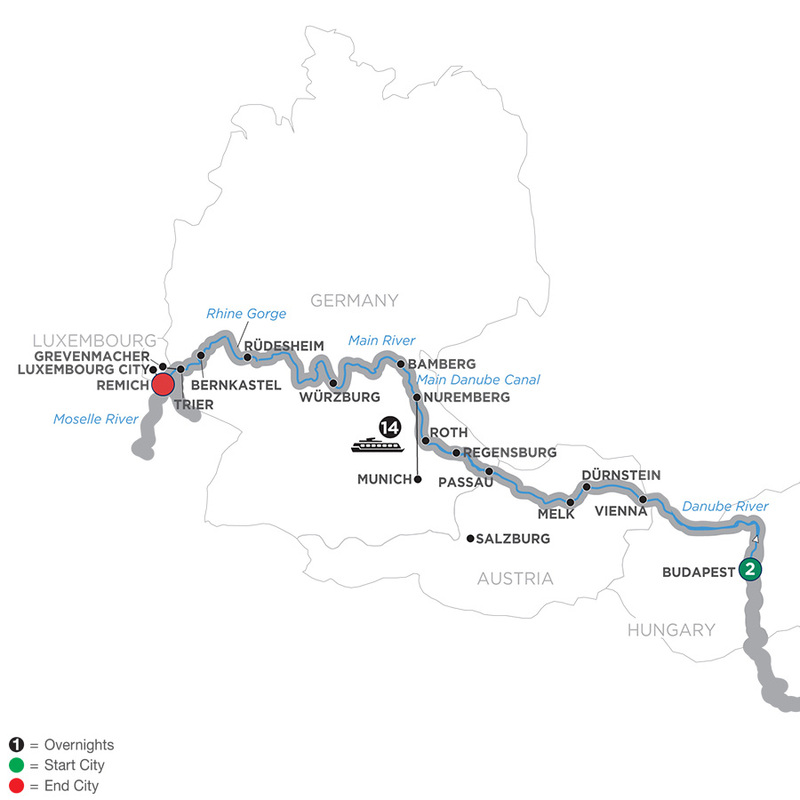 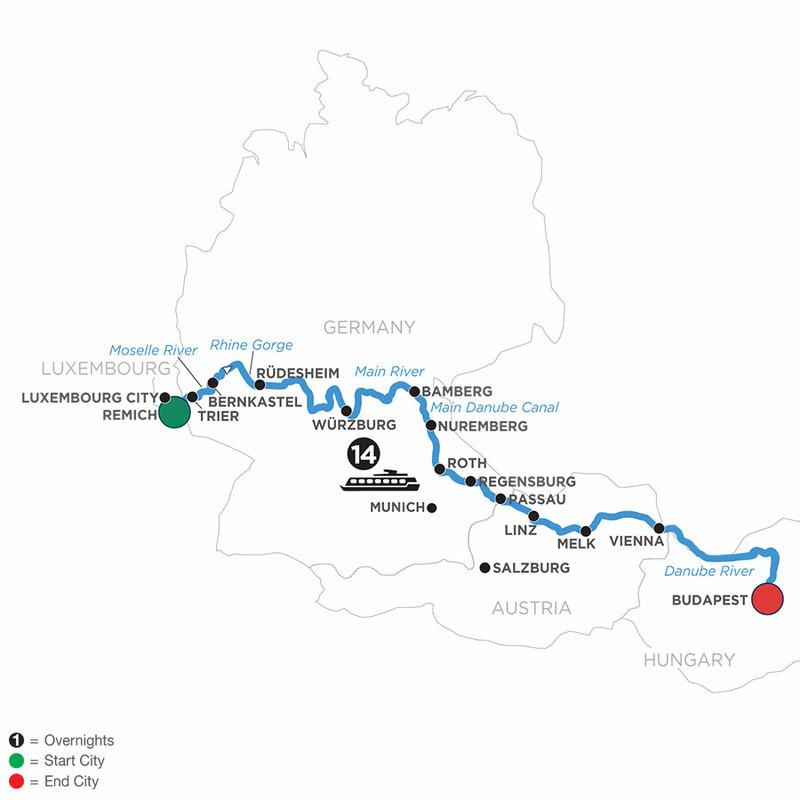 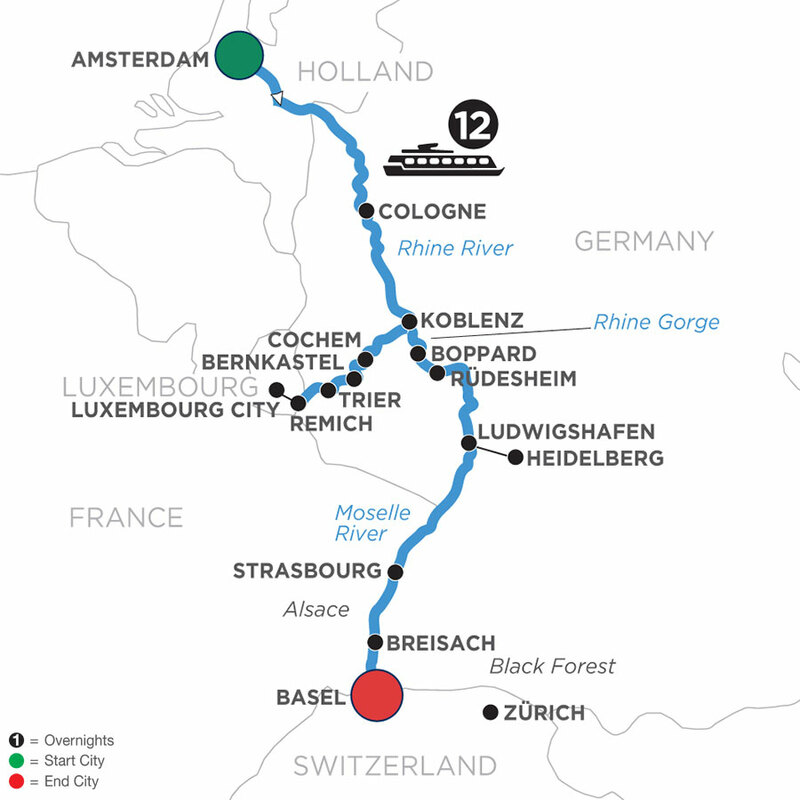 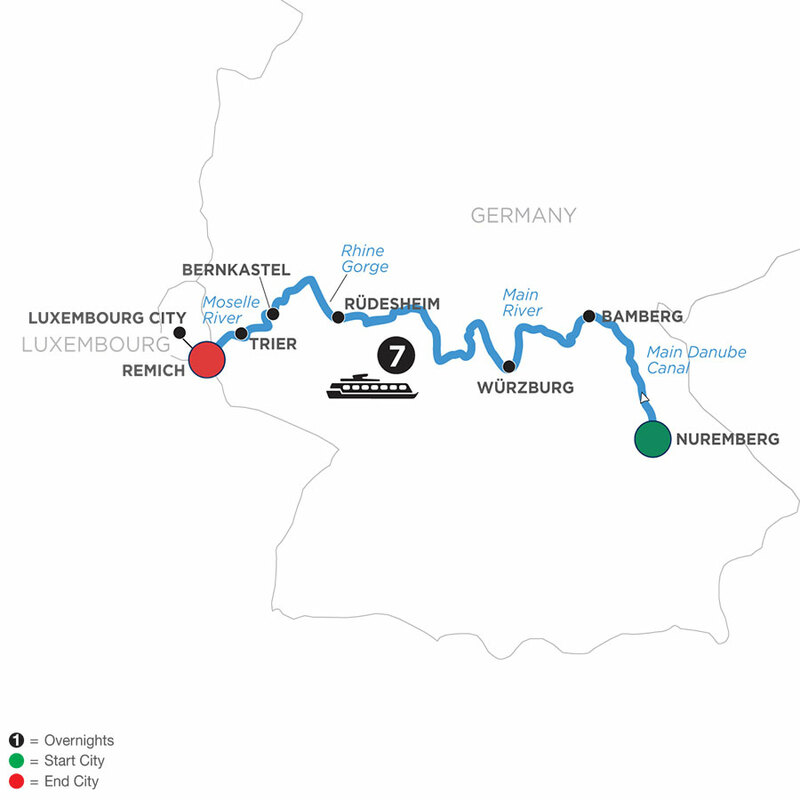 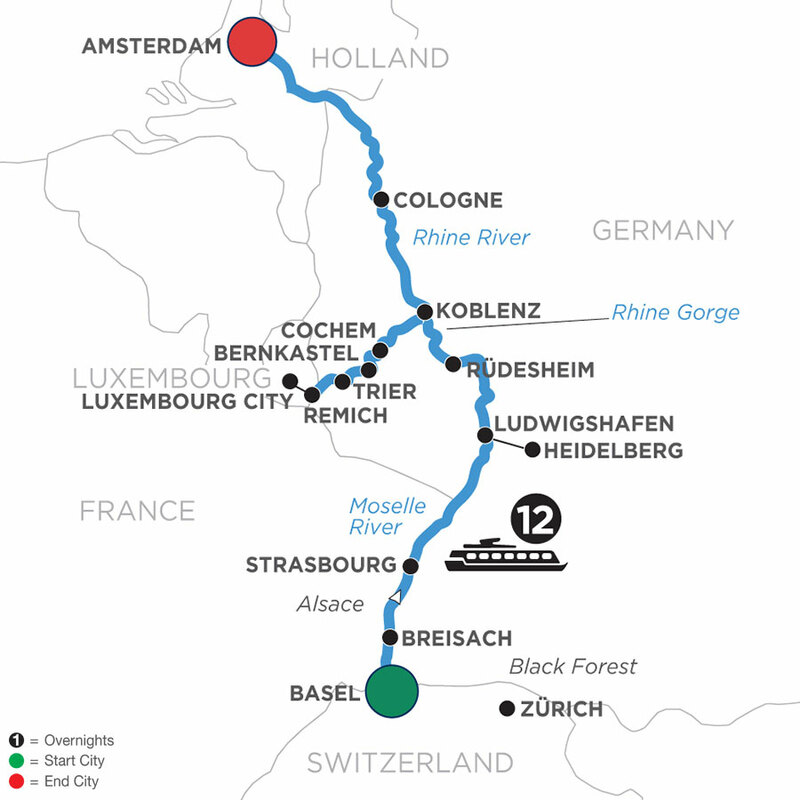 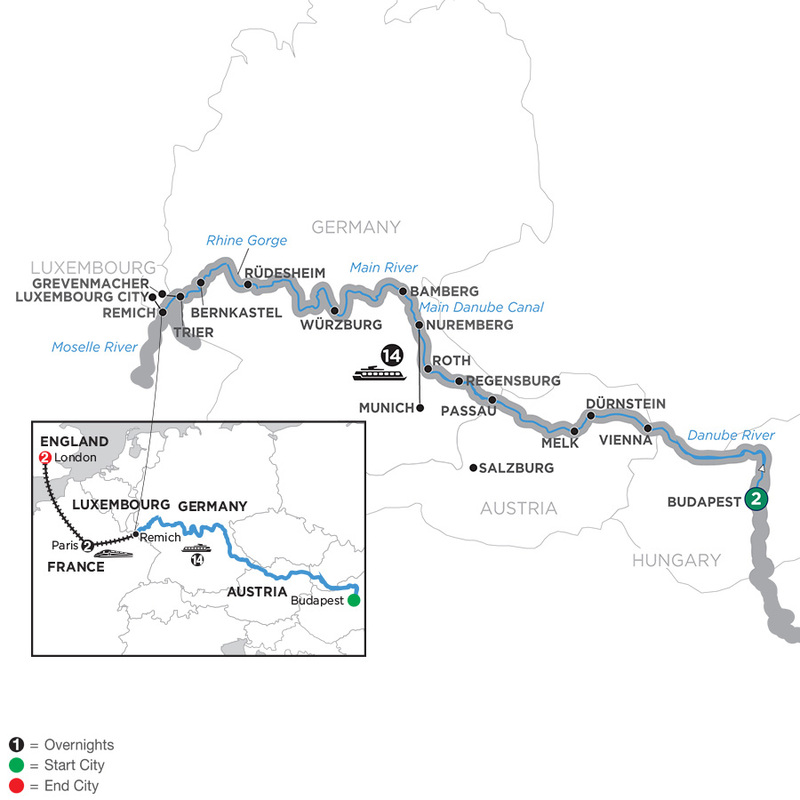 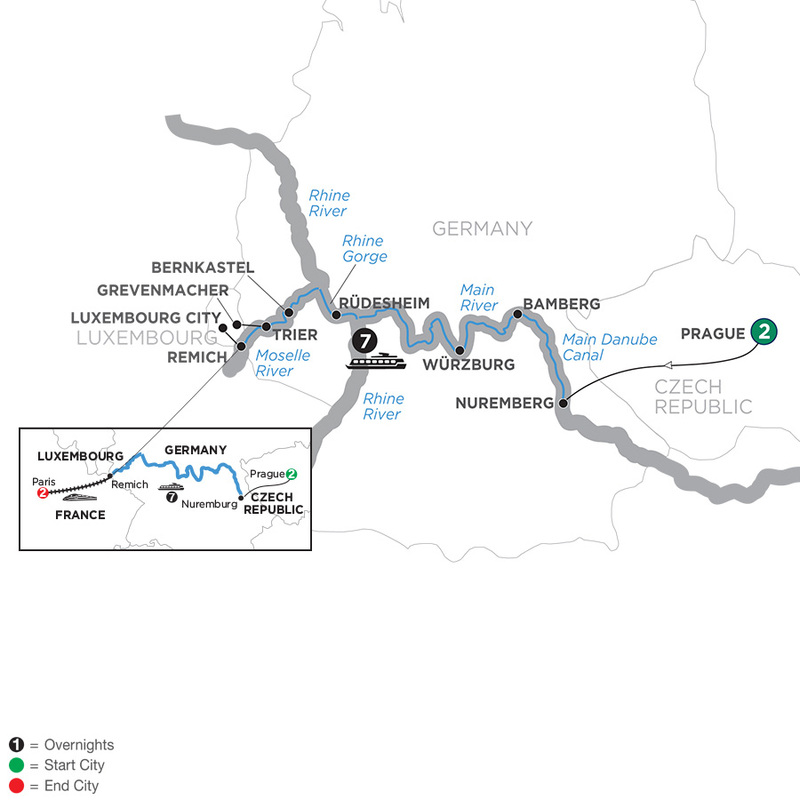 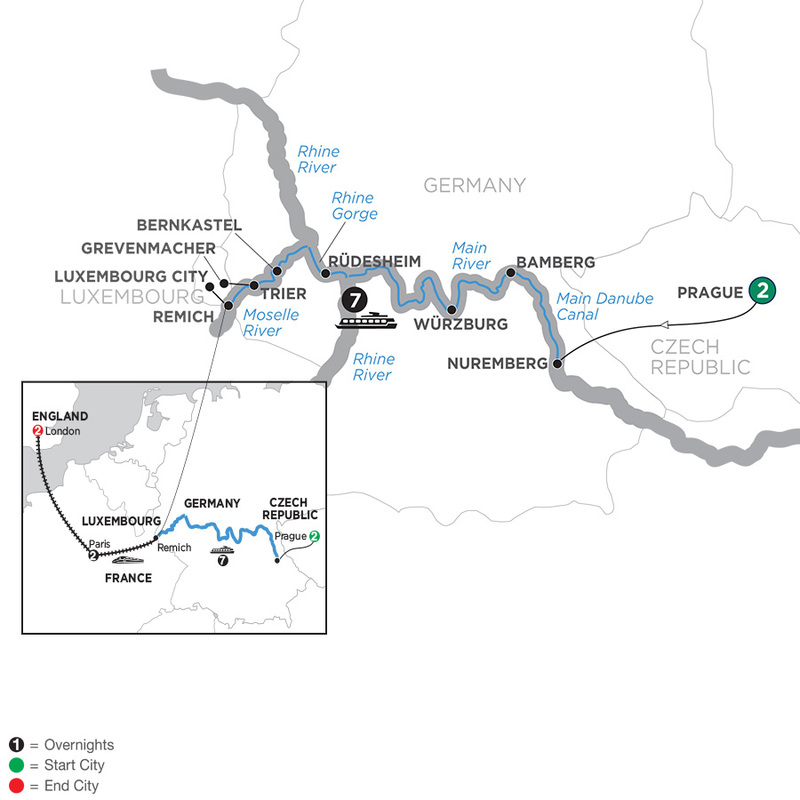 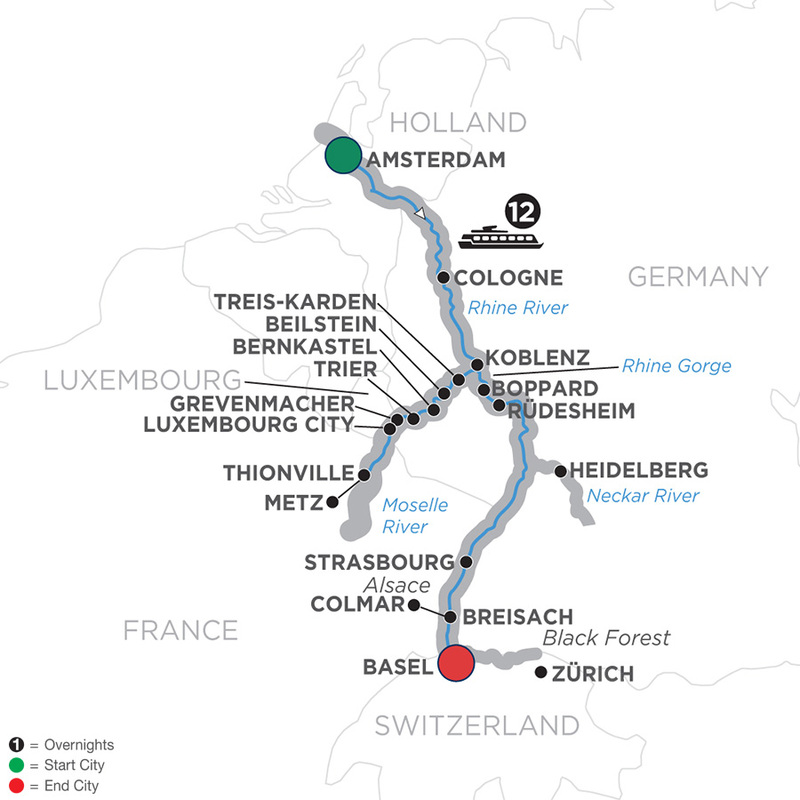 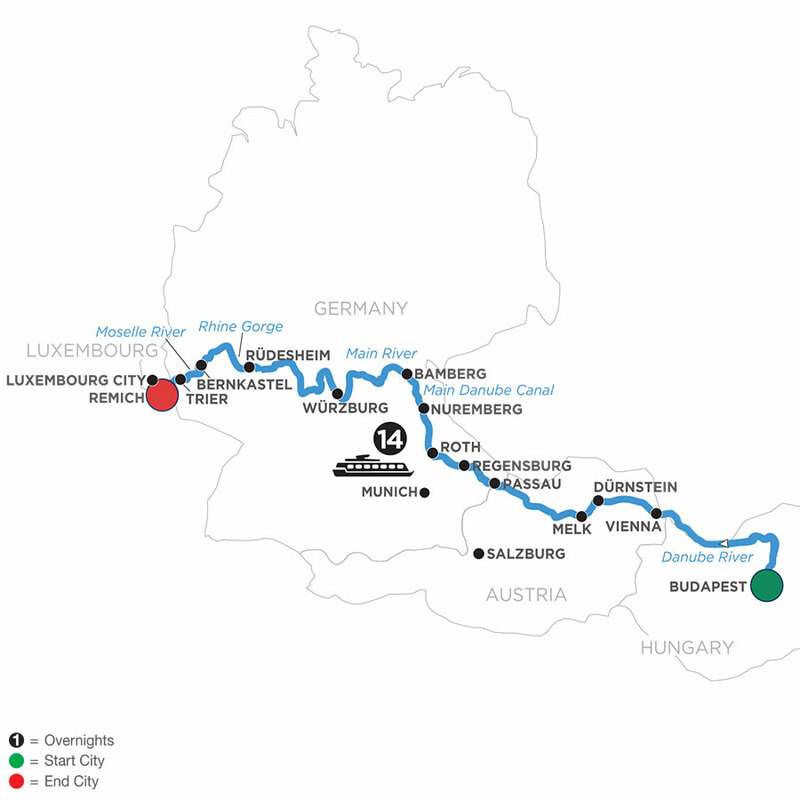 Explore Moselle cruise packages below and view applicable deals on Moselle river cruises.